"The Judge Child will return in Prog 1077, eighteen years after Judge Feyy's prediction, just as foretold!" "Ah, y'know, whatever, that's a problem for when we're covering 1998, buddy. I'm not worried about that too much." "You'd think so, but I got plans." WHAT. What does this mean? You're not - gasp! - skipping ahead, are you? Congrats on the anniversary - Space Spinner continues to be one of the podcasting highlights of my week, and ReAction is off to a great start too. Not even I know, sometimes I’m just vamping out there! Definitely no plans to skip! 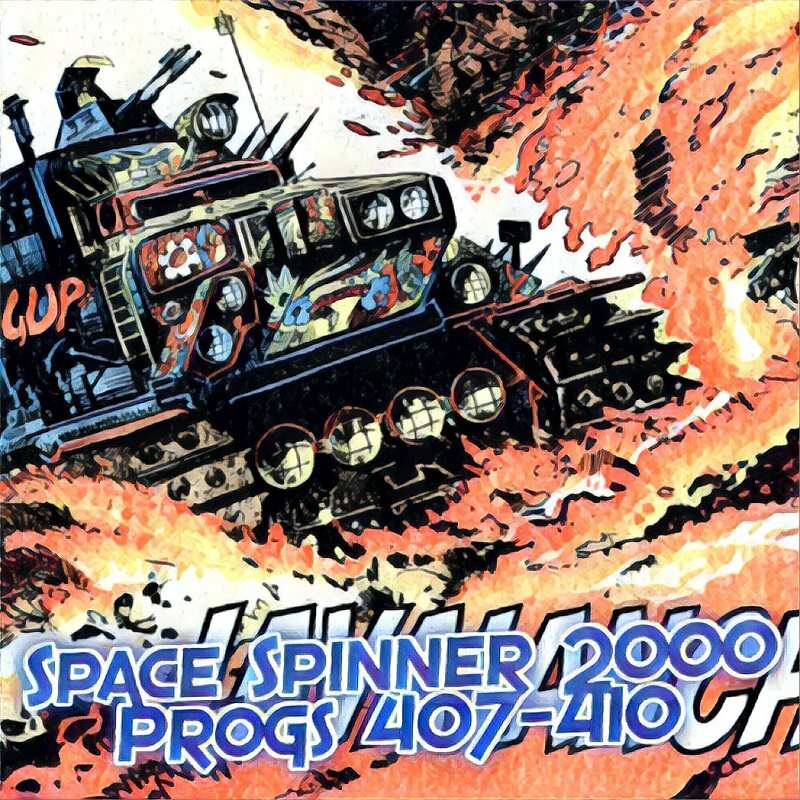 In our thrilling hundred and twenty-seventh episode Fox and Conrad continue their journey through the Galaxy’s Greatest Comic with Progs 407-410 of 2000AD, covering March of 1985. This week Dredd goes against the Hunters Club, the King arrives in Halo Jones, things are getting hot for the Hell Trekkers, and Rogue Trooper starts his new mission! ReAction episode 2 is this Thursday! Poor Fox, he's going to be broken next week. 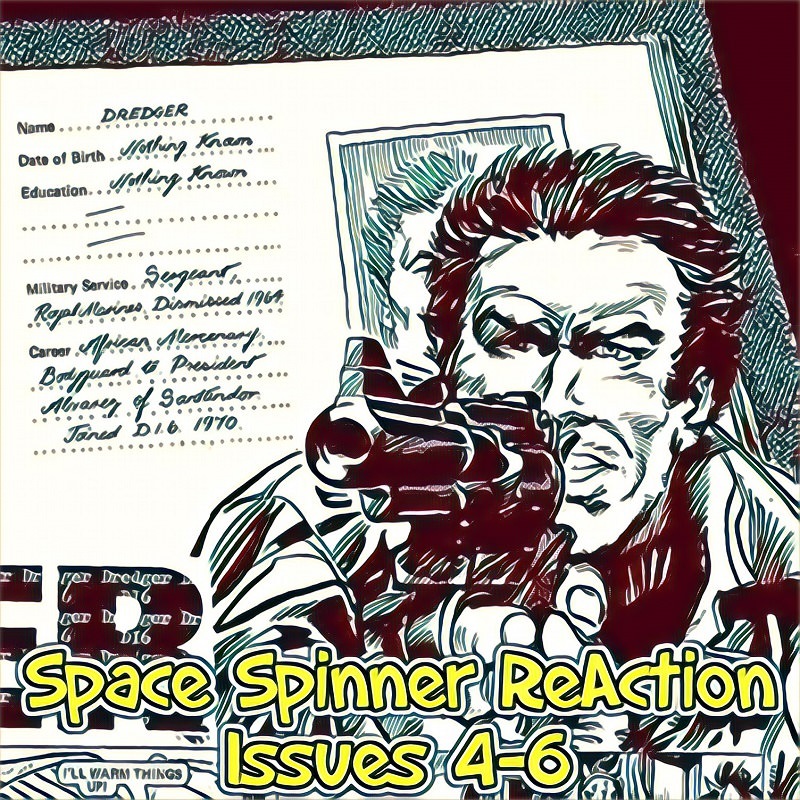 In our action-packed second episode Jason and Conrad begin their journey through the pages of the infamous classic comic with issues 4-6 of Action! This episode it’s shark vs squid in hookjaw, Hellman goes to Dunkirk, Dredger meets his match, and at least one person gets punched in the face in every single story! 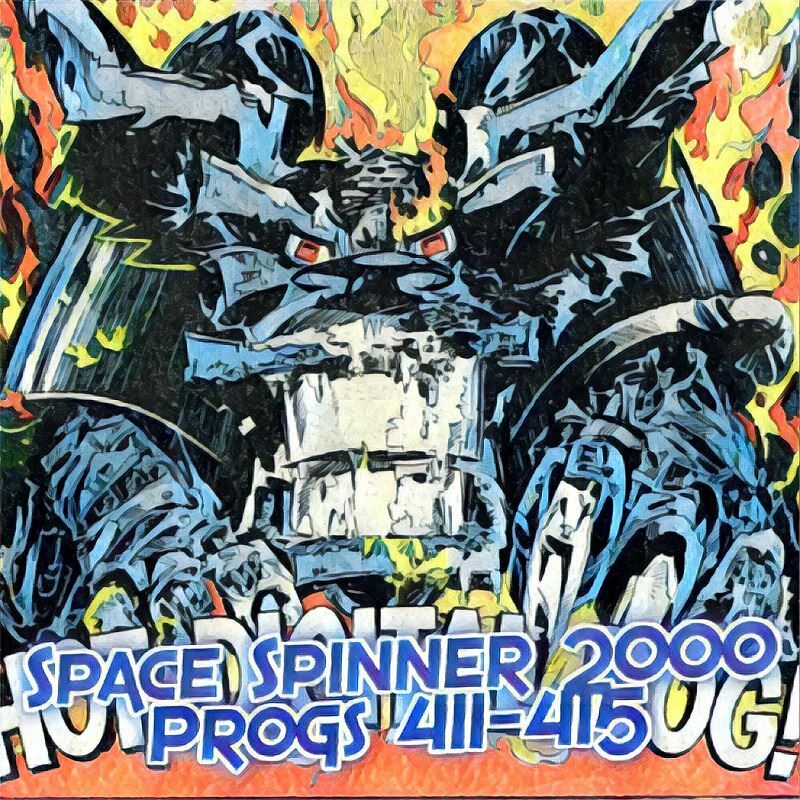 In our thrilling hundred and twenty-eighth episode Fox and Conrad continue their journey through the Galaxy’s Greatest Comic with Progs 411-415 of 2000AD, covering March and April of 1985. This week Dredd fights big robots and young juves, the Helltrek concludes and Halo Jones reaches her destination, Rogue goes to the bugs, and Sláine begins a new adventure! Also, check co-host Conrad out on the lastest episode of the Fantasticast, talking the Fantastic Four, Doctor Strange, and Godzilla! Looking forward to listening to that tonight - can't wait to find out how Fox reacts to the second half of Halo Book II! 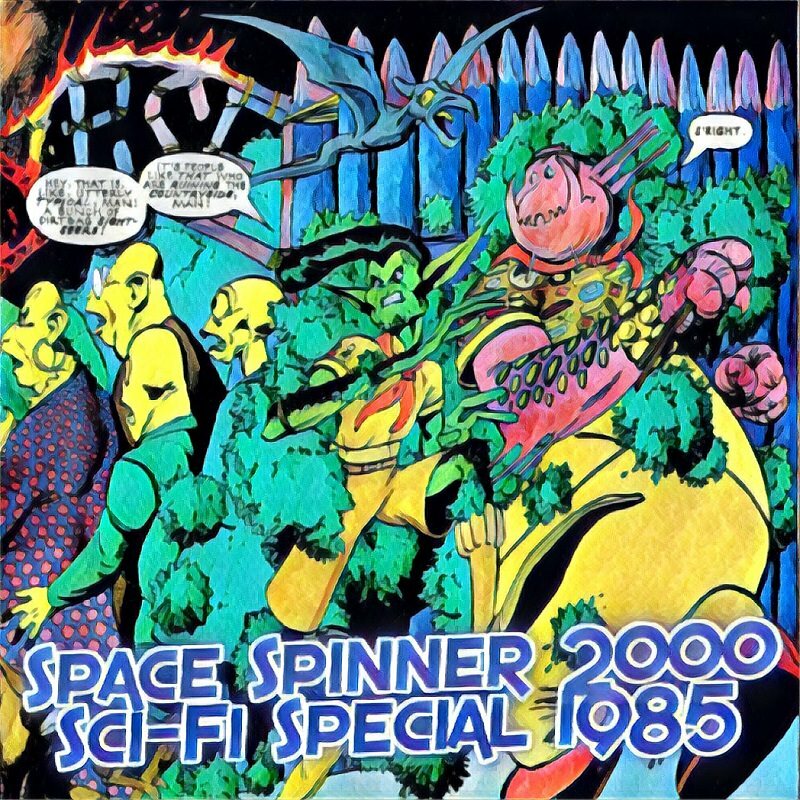 In our thrilling hundred and twenty-ninth episode we continue our journey through the Galaxy’s Greatest Comic with the 1985 Sci-Fi Special of 2000AD. This Special has some great stories featuring Judge Dredd and DR & Quinch, as well as classic Ro-Busters action! This episode Conrad is joined by David Royane of the Beyond the Soda and Where Eagles Dare podcast! Where Eagles Dare recaps the Eagle comic from the 1980s! If you like our show you’ll love Where Eagles Dare! ..er... it behoves me to slip quietly from out of the Quag to inform fans of the splundig Space Spinner 2000 cast that Conrad himsef returns the favour and joins us Where Eagles Dare for a Very Special Special eaglesode flung into the podosphere within hours of this latest SS2k. Conrad's clearly got the hang of the UK comic form. But can anything prepare him for an Eagle photostrip? YouTube: Man from Del Monte - a series of commercials in the late 1970s(? ), 1980s for fruit juice. This was great - a triple dose of Conrad this week. I am following Where Eagles Dare since I did subscribe to Eagle before I moved on to 2000AD. I do not have any scans or copies of the comics so it is all from memory for me. Doomlord was the best and also scariest at the time - I am glad that it sounds as though it has stood the test of time. I was staggered when for the closing music on this special it used A Taste Of Aggro by The Baron Knights. As a child, I used to brush my teeth to this song and I still have the 7" which I played to my 9 year old daughter just this week. I genuinely thought I was the only person who remembered this song as I have never encountered anyone else ever who knew of it. This week actually has a quintuple does of Conrad if you're a real glutton for punishment, as I've also done some American comics podcasting.